Think local. As this topic of discussion continues to ebb and flow, many of us are left wondering why it is important to shop local. As small business owners, my husband and I strive to put everything we can back into the communities we serve. In fact, it is a part of our mission statement at Gearhead Outfitters. Gearhead is made up of a team of passionate individuals who all work hard to help us give back to causes that are close to their hearts. 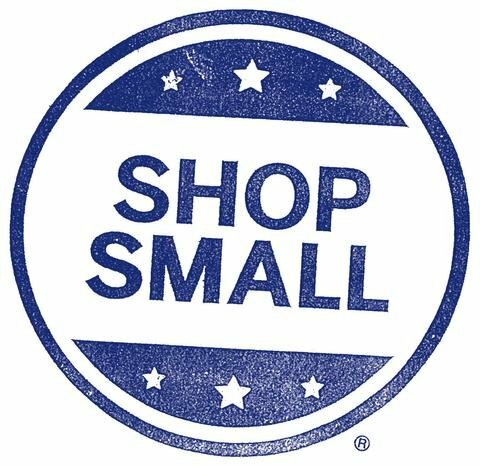 Until becoming a business owner (I was formerly a teacher), I did not realize the impact of shopping local. I assumed if a big box or chain store was located in my community it was also a local store. What I didn't understand is that for every dollar I spend in a big box store, my money is distributed elsewhere, and some of it actually leaves my community. I still shop in big box stores. They bring people into our community and drive our economy. But I would like to explain why it is important to patronize your local toy, jewelry store, or, in our case, outdoor lifestyle store. 1. Buy Local, support yourself: Several studies have shown that when you buy from an independent, locally owned business, rather than a nationally owned businesses, significantly more of your money is used to make purchases from other local businesses, service providers and farms, continuing to strengthen the economic base of the community. The graphic below is an easy way to get a better understanding of how much of your dollars stay in your community. Gearhead Gives: Your dollars spent at Gearhead and other local businesses have three times the impact on your community as dollars spent at national chains. Gearhead Gives: Gearhead Outfitters donates thousands of dollars each year to local charity events. We offer free events and programs to members of the communities we serve. In 2016, we established our non-profit, the Gearhead Outfitters Charitable Foundation, in an effort to give back even more in the future. Last year alone we donated more than $80,000 and 1200 volunteer hours as a company to local charitable organizations. Gearhead Gives: Gearhead strives to live the quote above. A customer once told Ted that Gearhead was like the TV show Cheers, where everyone knows your name. That was one of the highest compliments we have ever received. 4. Reduce environmental impact: Locally owned businesses can make more local purchases requiring less transportation, and generally set up shop in town or city centers as opposed to developing on the fringe. This generally means contributing less to sprawl, congestion, habitat loss, and pollution. Gearhead Gives: Ted and I lived above our downtown store in Jonesboro for 12 years with our two kids and pets. We also built a loft above the Gearhead Cycle House where two store managers and other employees have lived. Other employees in all of our cities live close enough to walk or ride their bikes to work. 5. Create more good jobs: Small, local businesses are the largest employer nationally, and in our community, provide the most jobs to residents. Gearhead Gives: Gearhead employees almost 100 people in 10 stores and three states. Gearhead Gives: One of our main goals at Gearhead Outfitters is to build relationships with our customers and listen to their needs. Gearhead Gives: Ted and I were born and raised in Jonesboro, Ark., the home base of Gearhead Outfitters, and even lived above our own shop downtown for many years. Our flagship store on Main St. in Jonesboro contributed to the revitalization of the downtown area. Many of our employees are members of local advocacy boards and organizations, and Gearhead sponsors local events at each store location to promote a sense of community and strengthen our relationship with our local customers. Gearhead Gives: For the buildings we own, our property taxes go to help pay for fire fighters, police officers, schools, and other local city services. Gearhead Gives: We strive to build relationships with our customers and listen to their needs. When we attend market to look at new products we often think of specific customers, "Mrs. Moore would love this new shoe." We also have boxes set up in each store specifically for product and brand suggestions. Gearhead Gives: Of 10 store locations in three states, most of our management team started out working as sales associates and have moved up to running their own stores. In our Shreveport, Louisiana, store all employees are Louisiana natives. Think local first, buy local when you can, be a local!